Uchumi Commercial Bank Limited is currently seeking to recruit suitably qualified, dedicated, self-motivated and competent Tanzanians to fill the following vacancy positions. Attend to help desk inquiries and ensure that calls are dealt with in a timely manner. Ensure that IT services provided are compliant with both legal and operations Policy requirements and that auditable report are maintained in accordance with the best practice and established arrangements. Setup of user and email accounts and network/telephone cabling. Monitor the network, servers and communications systems and troubleshoot problems in order to maintain the highest level of availability. Maintain high standards of service for Printers, Scanners and Pc’s. Backup all data daily, archive unused data onto tapes as required and recover data from backup and archive tapes as required. Ensure that the email system is operating effectively and maintaining technical support documentation in accordance with the procedures. Ensure that all works are carried out in a safe manner that complies with company and legislated requirements. Transfer knowledge to other employees to enable smooth handovers and improved technical base within the department thus leading to a consistent level of ICT services delivered to the company. Technology or any other related field. 3 years working experience in ICT Systems Administration and Management. Performance orientation and strong problem-solving. Good communication and high level of interpersonal skills. 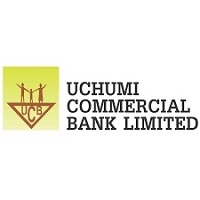 Uchumi Commercial Bank Limited has a strong commitment to moral, confidentiality and safety management. If you are not contacted by Uchumi Commercial bank Limited within fifteen days (14) days after the closing date, you should consider your application as unsuccessful. Late applications will not be considered. Shortlisted candidates may be subjected to any of the following: a security clearance; a competency assessment; physical capability assessment, reference checking. Please forward your applications before the 31st October 2018.